If your teeth are feeling sensitive due to receding gum lines, we can help. 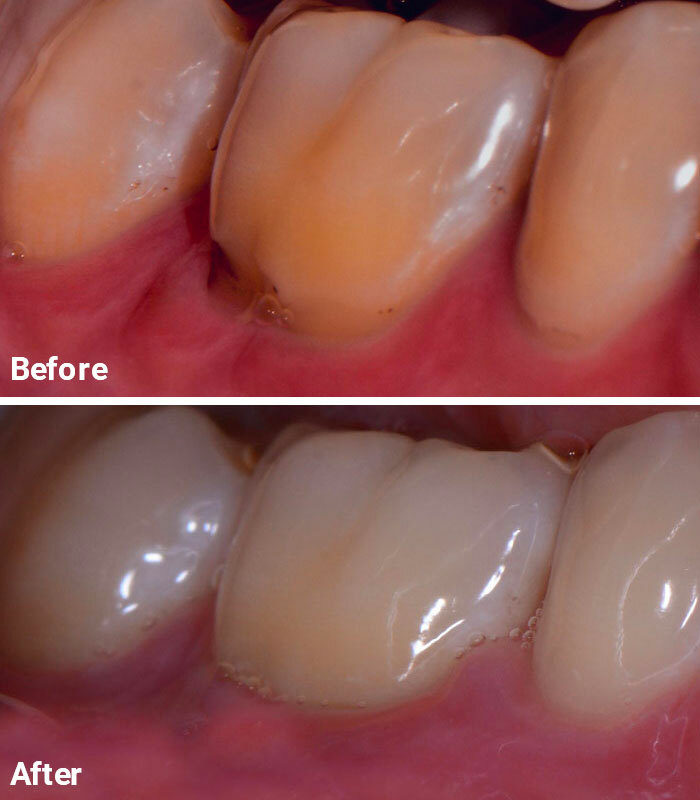 Thanks to the advances in modern dentistry we can now cover up exposed root surfaces replace gum tissue, help prevent gum recession, and increase gum thickness. Gums and roots can become exposed for many reasons. It might be from brushing your teeth too hard, tooth movement, or disease. When the tooth root is out in the open, eating or drinking hot or cold foods can make the area incredibly sensitive. Gum grafting surgery permanently covers the root, lowering your discomfort and getting your gums back to full health. We offer a microsurgical procedure to cover the roots of the teeth and make the tooth look more symmetrical. This procedure can take less than 90 minutes in the chair and is done under local anaesthetic. We can shift the gum line down with very little trauma to the tissues. You can expect this to be a long-lasting solution as long as there is no tooth overbrushing.